Cutest Characters: One I made up! Hello! Yes I am cheating! This feature is meant to be about characters that actually exist but it’s hot and I’m tired and confused and I can’t seem to pick one! And so…here’s a picture I drew earlier. 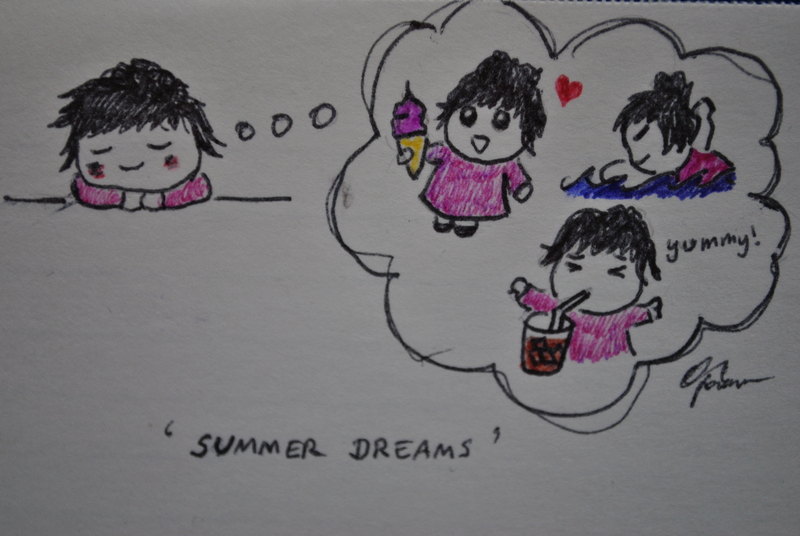 It’s me, dreaming of things I’d rather be doing than sitting at a desk, feeling hot. It’s still cute so…it counts, right??! These were coloured by my lovely brother, Nick. Thanks Nick! !